He is one of the most photogenic and frequently photographed of Butler employees. 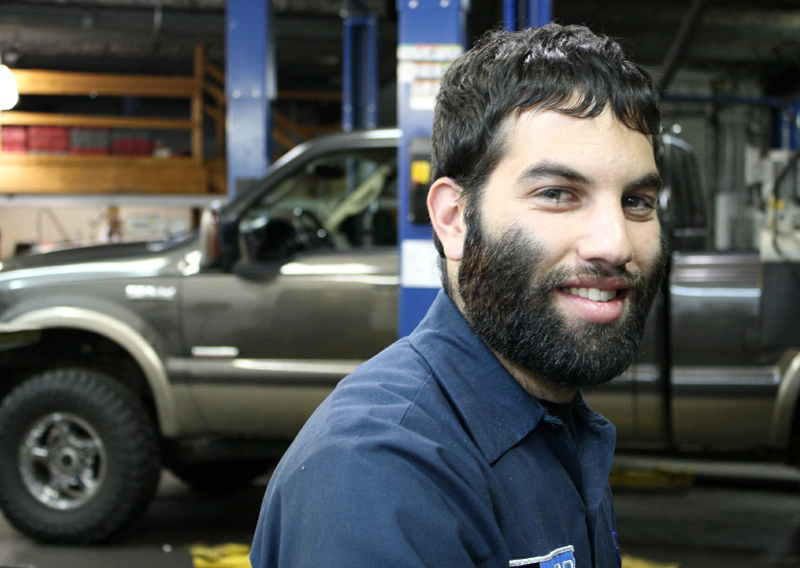 The camera does love him but, that’s not the only reason Butler Ford Service Technician Iman Pirasteh is happy to smile at the lens; It is also because he is always willing to throw himself behind a cause… which, coincidentally, explains the current, considerably hairier version of Iman, the “Movember” version. His friends say he looks like a grizzly bear. His relatives want their fresh faced young man back. But Iman welcomes the comments because they allow him to talk about his reason for relinquishing the razor: “Movember”, a movement born in 2004 that urges the growing of a mustache to raise awareness of prostate and other cancers typically associated with men. “You hear about breast cancers in October,” he says. “But how are you going to show support for men?” He doesn’t even know anyone afflicted with any of the highlighted diseases; He just wanted to help, as the movement says, “change the face of men’s health”. He even went above and beyond the movement’s guidelines. “Movember”* is a hybrid word mashing “mustache” and “November” but Iman says he think he looks less silly with a full beard. “You go through stages of your beard getting really itchy but then, after that, you don’t think about it… you just cruise,” he says. Frankly, this reporter is stunned by the sheer amount of facial hair the normally clean-cut Iman has sprouted in just the past 19 days (he stopped shaving on November 10th). But along with raising awareness Iman says there’s another benefit. “It does help keep you warm. It’s awesome,” he gushes. And somewhere, under all that fur, he cracks a photogenic smile. For more information visit http://us.movember.com/?home. *There is also a “No Shave November” movement whose only purpose is to promote laziness and indifference. Next Post → The 2013 Mustang Boss 302 is in the Butler House!